This coming Saturday (the 21st June) it will be the longest day. Midsummers day. My birthday. My 40th birthday ! Will I celebrate reaching such a milestone? Unlikely. Funny thing is…many people feel old at 40, and start mentally winding themselves down for later life, retirement, aches and pains, and the like. Today it makes no sense to me. But it wasn’t like that just 3 years ago. 3 years ago I was overweight, with all manner of aches and pains and health issues. I really had those thoughts running through my mind…”Is this it?”…”Will I just get older and more decrepit as time goes on?”, etc.,etc. I had to take a stance back then, and I am glad I did. I read the signs and acted upon them. And where did it lead me? So far it has led me to experience a level of wellbeing I couldn’t have previously imagined. I look younger. I feel younger. I think younger. I believe I am younger. To all intents and purposes I am younger. In fact, I feel like I was reborn. And so, on the eve of my 40th birthday I am actually 3 years new ! Along the journey I gravitated towards Nordic walking. Did I choose it ? Or did it choose me ? Who cares ! What’s important is that I am no longer who I once was and today I strive for continuous growth, development and improvement, irrespective of the challenges and hard work I face. If I can do it, so can you ! 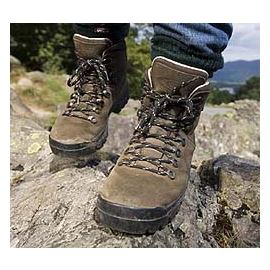 If you haven’t made the leap just yet, then there is a guided walk taking place on Midsummers day. You might just want to join it…who knows where it could lead you. For more details about the walk visit here.